Top Social Media Marketing Services Philippines | WAZILE Inc.
We offer Social Media Marketing to help promote and market your brand or business in different social media platforms! Let us help you grow your brand or business with our Social Media Marketing Services. HOW SOCIAL MEDIA MARKETING WILL WORK FOR YOU? Social media itself has completely changed not just the internet but how the entire world functions nowadays. It developed a new form of communication for people everywhere they go. Social media marketing has changed the world of marketing as well. Facebook, Instagram, YouTube and other different platforms are great to utilize for your business. What’s best about Social Media Marketing is that it’s affordable and the channel itself is FREE! Check out the video to know how Social Media Marketing can work for you! Our effective social media campaigns and management has helped grow our clients’ followers and customers in different platforms. We have helped them build a strong connection through engaging with their audience. We can help you with unique social media strategies that can help grow your brand’s awareness and traffic to your pages. Focus on your business and let us handle your social media presence. Your purpose of having a social media presence is to gain customers. In every single post, we aim to help you convert users into clients with different strategies that we will lay out to you. This can be possible through visually appealing designs and plans that suits your business. In today’s digital time, users tend to engage in posts that are visually appealing with clear and concise write-ups. Our team will provide you brilliant ideas or concepts, whether it is editing photos or videos, creating write-ups or managing schedules of your posts in different platforms. Reach more of your audience by boosting your posts. We can help you with unique strategies for your social media content, promote your products, services and more through online advertisements. Allow us to also help you optimize your budget to reach your type of target audience. After boosting each post, we monitor the social action from each person and their response to your content to create adjustments in future posts for improvement. Managing a lot of social media accounts can be time consuming. Allow us to help you handle your different social media accounts by engaging you’re your customers, monitor posts, comments, and more while you FOCUS on RUNNING your business the way it should be. With every single post of your campaign in every social media platform comes an engagement of potential customers. Our team is here to help you by looking through the engagement of users on your social media accounts. We can also help you adjust your needs in every platform that you particularly like. All business owners would love to have users and their customers remember their brand. Focus on brand consistency whereas users will be able to differentiate your brand from others and create an emotional connection with your business. Let us help you represent your brand in different platform and tell them about your story. Let us help your business thrive online with our Social Media Marketing Service! We’re excited to hear your ideas so let us start collaborating and bring them to life! It is easy for your business to develop a loyal community. Online communities can help you establish an emotional connection between your brand and potential customers. Interacting in different social platforms can significantly increase your online presence because social media leads to large exposures due to its worldwide access, sharing capabilities and number of users. It can help you expand your sales and can help you reach new audiences that might be interested on your product or service. Showcasing your brand in social media can be easy since it is another marketing channel for creating brand awareness, relationship building or driving new sales. Social Media is a great source of feedback and can help improve your customer service. It enables your users to communicate to your company and can help increase brand trustworthiness. It can help boost traffic and search engine ratings because it is a major lead generator that can help bring high volume traffic to your website. Compared to traditional marketing channels such as print or advertising, social media is affordable for any business. Social media marketing helps you understand your audience. By their posts or status updates, you’ll gain insights into their daily lives and consumer behavior. 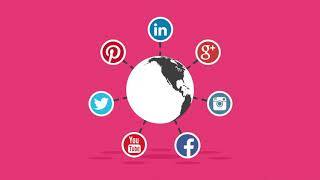 Social media is an inexpensive way to promote your business and easily distribute your content. It is also a powerful targeting tool so you can reach the right audience for you brand! Social media allows you to keep your customers updated with your company’s new offers and announcements. Difference of In-House vs Social Media Marketing Agency? Agencies or companies that offer social media marketing services are the ones that are best to depend on when it comes to looking for someone to handle your social media for you. They are updated with the latest ideas and approaches when it comes to social media because of the different concepts that have when creating ideas for different type of clients in different industries with different needs. In-house social media marketers might just stick to one process and idea, if not one, then just a few and it wouldn’t expand for they are just sticking to the standard of what they have started. Difference of Freelance vs Social Media Marketing Agency? Freelancers might be doing the same approach to your business from all the other clients that they have. Unless you are willing to have the same content and approach as others—or worse, your competitors. Social media marketing agencies can do the job for you where we help you stand out from the competition. What are the Brand Benefits from Social Media Marketing? With effective social media marketing, it can help increase their brand awareness, gain feedback, create targeted ad campaigns and brands can easily reach their potential customers by instantly distributing their content. It is currently one of the most effective means when promoting your business online. A social media strategy defines how you will use social media in order to achieve the brand’s goals and knowing what platforms or tools could be effective to achieve it. What is the Effectiveness of Social Media Marketing? When done effectively, yes, social media marketing can help you gain more customers, traffic and engagement. Consumers that search for businesses online are more likely to become consumers of the brand. What is the Effective Platform for Social Media Marketing ? This depends on what type of business you have and who your target audiences are. With 2.23 billion users, Facebook is one of the well-known platforms when it comes to social media marketing making it one of the most effective platforms to use. If you are working on B2B, LinkedIn may be the platform your business. If your business is about lifestyles, travel, fashion and more, YouTube or Instagram could be the place where your business can help you succeed.